Welcome to the UK's busiest Independent Holiday Home Rental web site bringing together Holidaymakers with Holiday Home Owners. Advertise your holiday home on the UK's number one independent holiday home rental site for free and pay just 7.5% commission on any bookings. Your advert on seven sites, display up to 24 pictures, location map and guest book all included for free. We are the only web site to offer a free 100% rental guarantee on all the owners' properties advertised. Holiday Home Rentals advertises a large number of self catering holiday rentals and short term holiday lets around the world belonging to private individuals. We specialise in offering self catering holiday villas, holiday cottages, holiday apartments, holiday flats and a selection of holiday lettings which can be rented from their owners direct. 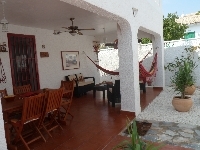 These holiday home rentals are owned by individuals who have lavished a large amount of care and attention on the properties and a holiday in someones private home is far superior to staying in a hotel. Villa, house, cabin, condo, cottage, gite, flat or apartment hire is now a very popular way of having a holiday. 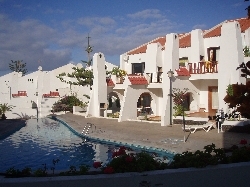 Low cost airline flights have made villa holidays a cheaper and more pleasant alternative to staying in hotels. Whether you want a country house in the mountains well away from the crowds for a peaceful holiday, a picturesque cottage, a family beach holiday or to spend time in your own apartment in a city centre we have it all on this site. Just use the form at the bottom of each property page and you can make contact direct with the owner. Holiday Home Rentals has now acquired Come2stay a leading provider of holiday homes, villas and apartments to rent around the world.